Popcorn Time, a peer-to-peer movie streaming service that spans many different platforms, has the movie industry in a spot of bother. Free to use, its legality is questionable to put it mildly, and while Hollywood is surely keeping tabs on its progress, even the important figures over at Netflix have expressed their concern over its growth over the past year. Often referred to as Netflix for Pirates or some similar term, it is already available for iOS, but anybody looking to use it has needed a jailbreak. That’s all about to change, though. According to a report over at TorrentFreak, a fork of Popcorn Time for non-jailbroken iPhones and iPads will be made available to the public over the next day, and the Popcorn Time dev team tells TF that other devs will be able to use the custom installer “to break Apple’s closed ecosystem” as well. The fact that Popcorn Time is giving users an opportunity to stream without jailbreaking is one thing, but with this mythical “custom installer,” it seems to be opening the door for similar services to flourish without the need for Cydia, TaiG, or a jailbreak in general. The closed-source iOS platform has continued to stifle the activities of developers looking to push the boundaries of possibility, and so whether you agree with Popcorn Time’s ethics or not, this is a potentially promising step that may ease general reliance on jailbreaks. The installer may not negate the need for jailbreaking entirely, but since it will allow custom apps to be added to iOS, this does suggest that even if an app doesn’t pass through the App Store’s Terms of Service, it can still be distributed, with Popcorn Time being the obvious example. 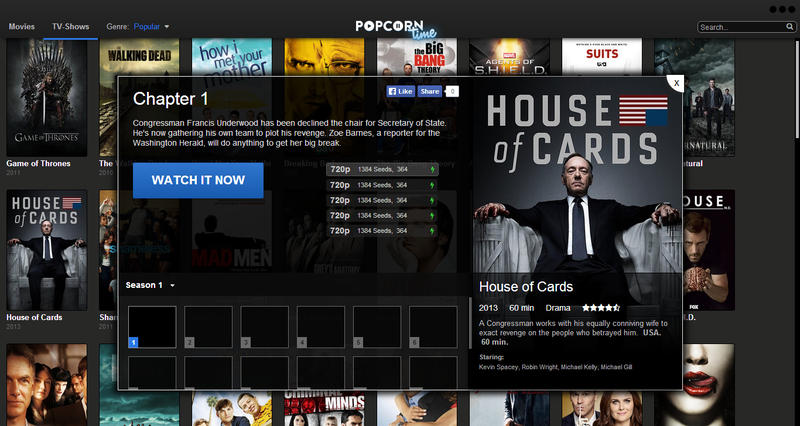 Netflix’s open source competitor will release the new installer via Popcorn-Time.se in the very near future, and while this is great news for Popcorn Time fans, it’s clear that the Popcorn Time team is homing in on a much bigger target. As TorrentFreak’s report notes, the long-term aim is to fight the rigid nature of iOS in general, offering consumers a bigger say on what apps they install and how, while alleviating Apple’s stronghold on activities. Taking this into consideration, we’d expect to see Apple retaliate after Popcorn Time does release the installer for non-jailbroken iOS devices, and so the cat-and-mouse game will continue. If those behind Popcorn Time wish to start a revolution, as seems to be the gist of this announcement, then Apple will be more than up for the fight, and in the continued battle to keep iOS locked and watertight, it has yet another threat to contend with. For now, though, it’s all about this new Popcorn Time release, and when it does arrive, we will cover all the steps required to get it installed on your iPhone or iPad. While you’re here, you may also want to take a look at our guide for installing Movie Box on non-jailbroken iOS devices, which can be found here.